Turning parts made with aluminum with anodize & chrome plating. GTC ofter the best of Bicycle turning parts and CNC bicycle turning parts. Motorcycle parts The picture shown here is a sample for your reference. 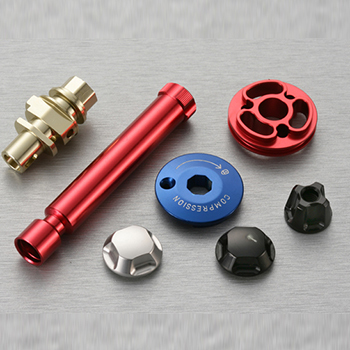 All the parts we manufacture are non-standardized and customer specified products. A drawing or CAD is necessary for quotation. Prototype and high-volume requirements are available. Please contact us by e-mail for details. Thank you in advance.